The Boost Control mod adds ecu controlled boost. The optimal hardware setup is a GM 3 Port Solenoid with a 5 ohm resistor in series. 5 ohm, 2 watt resisters can be difficult to find locally. You can use two 10 ohm, 1 watt resistors in parallel to achieve the same 5 ohm, 2 watt, rating. See MrFred’s BCS Testing Data for more info. I will try to test some of the stock DSM solenoids, to see how well they perform. But data on the stock Evo solenoids, suggest they don’t regulate high boost well. 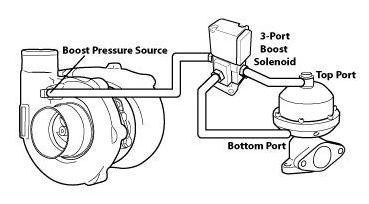 Of course, you also need a MAP sensor, connected to the MDP plug, to measure boost.